30" overall. 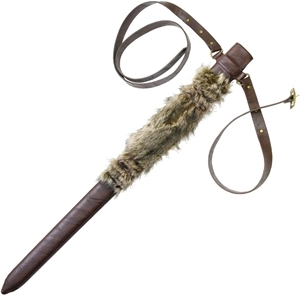 Based on the actual television prop for Vikings. Leather wrapped construction with faux goat fur, bicast leather strap, and metal buckle and rivets. Certificate of Authenticity. 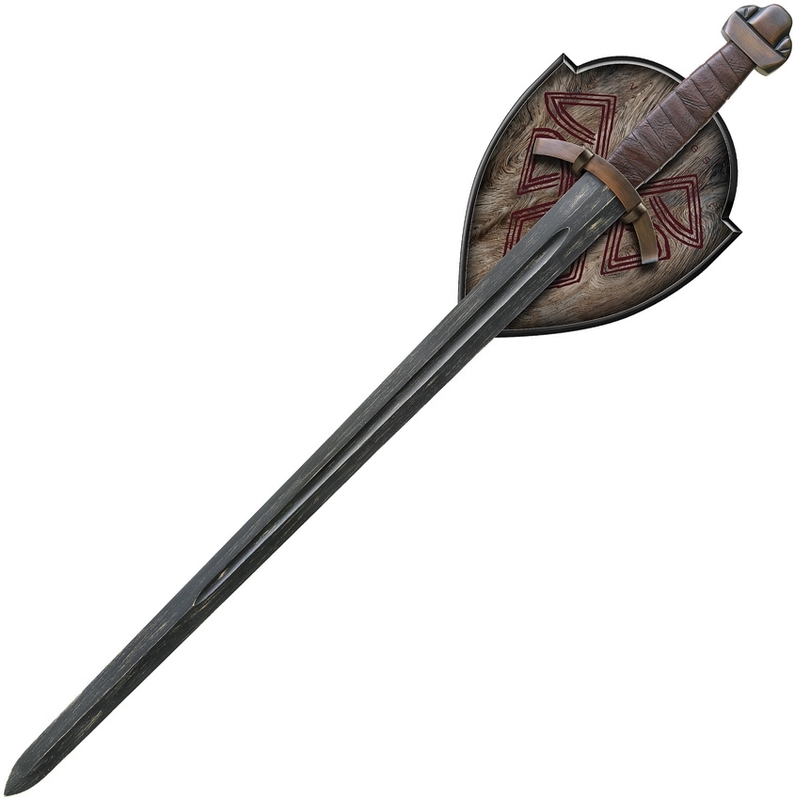 Fits Sword of Lagertha (SH8001). Boxed. Substantial blade, detailed finish and very heavy, this is a great sword! 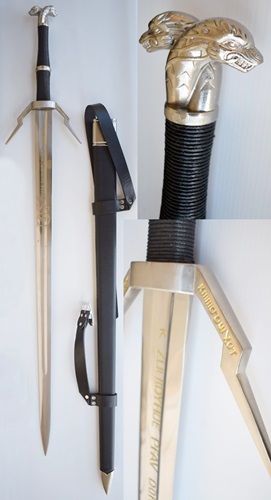 Approx 47" Overall with an unsharpened stainless blade. Cord wrapped handle with silver finish cast metal fittings, blade features engravings with gold highlights. Wooden aya with faux leather covering and cast metal fittings, excellent quality.